Happy April Fool’s Day! Well, there’s been a notable shift in the weather here, summer is clearly over and autumn is finally properly with us. 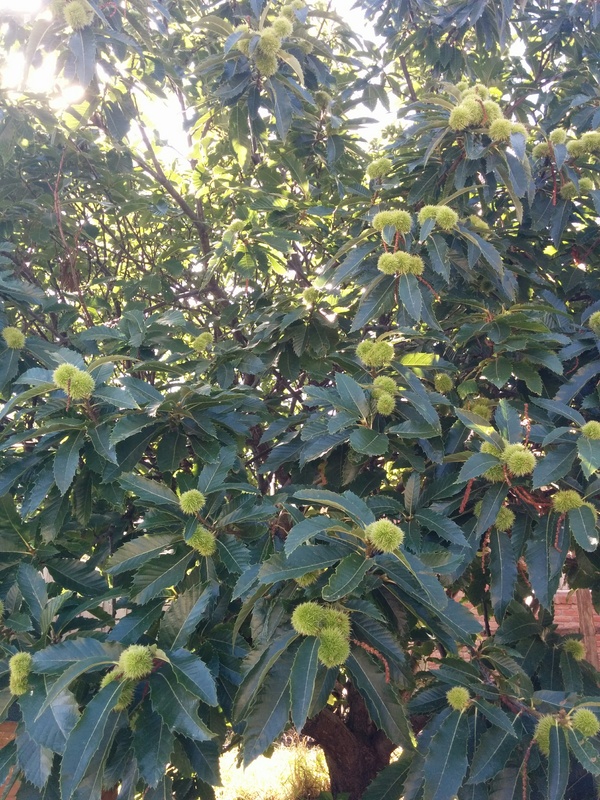 I think this is my favourite time of the year, with generally lower overnight temperatures, crisp mornings and calm, often sunny days – perfect for gardening! Soil temperatures are still quite warm – there’s a lot of growing still happening! 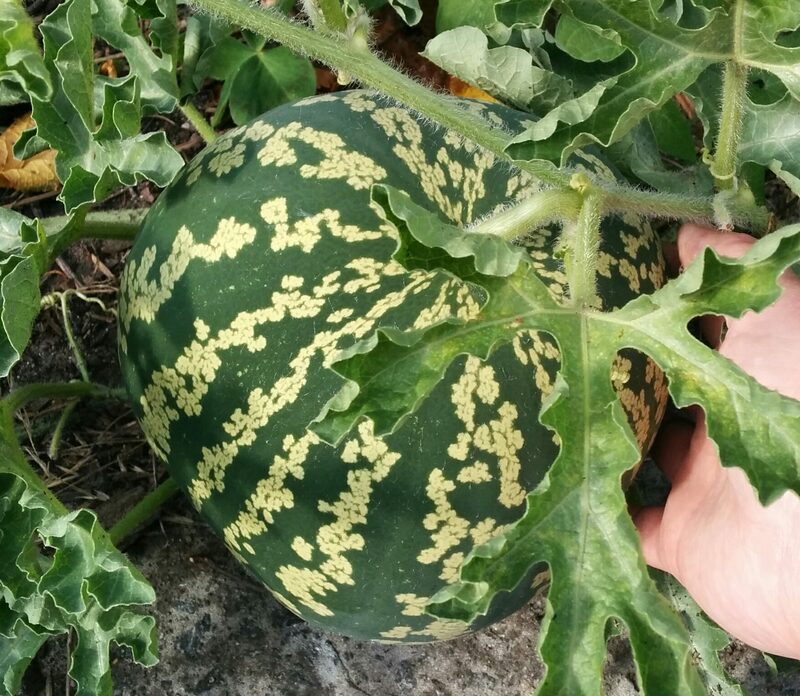 – and I’ll be picking zucchini and especially tomatoes for bottling for a little while yet. 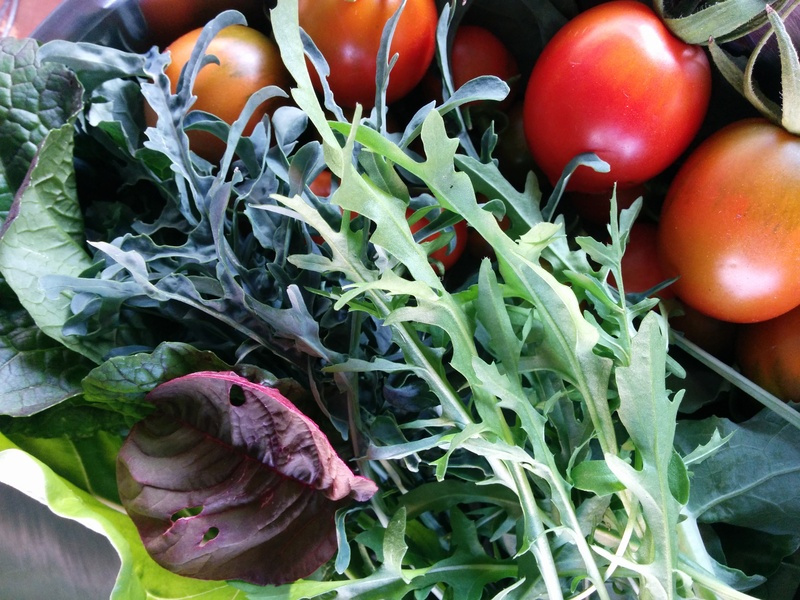 Salad from yesterday – kale, mustard, endive, rocket, silverbeet, red orach and tomatoes. In the meantime, I’m madly preparing beds for kale, broccoli and garlic, which I’m planting in the coming weeks (later than usual for me), so it’s still very busy. Boudica Bunny is making a nest and should birth her kits (the first with Bernard Black) in the next week, the chestnut crop is still to come as you can see from the photo above, and the chickens are beginning to moult too so the egg supply is gradually slowing down. Having a mixed flock means that there’s usually someone laying and I rarely have to buy eggs except in the very middle of winter when day length is shortest. Pre-heat an oven to 160 C/325 F. In a large bowl, mix the oats, seeds, wheatgerm (if using) and coconut. Chop the nuts fairly roughly and add to the oat mix. I love lemon zest and the sherbet-like flavour it brings to my breakfast muesli (I keep a jar of dried zest in my pantry cupboard just for recipes like this) but it’s not to everyone’s taste. Try just a little if you’re uncertain. If you use dried lemon zest, you can mix the chopped fruit thoroughly with the oats/seeds/nuts now, bypassing the toasting step and put the muesli in an airtight jar but I really think the toasting is so worth it for bringing out the flavours of the the seeds and nuts. Lay the oats/seeds/nuts/fresh lemon zest evenly on a baking sheet or roasting pan and toast, turning every 10-15 minutes with a broad spatula. It’s fiddly but really worth it as you can determine exactly how toasted you want your muesli to be. I use coconut flakes that brown quite significantly and are my best indicator. 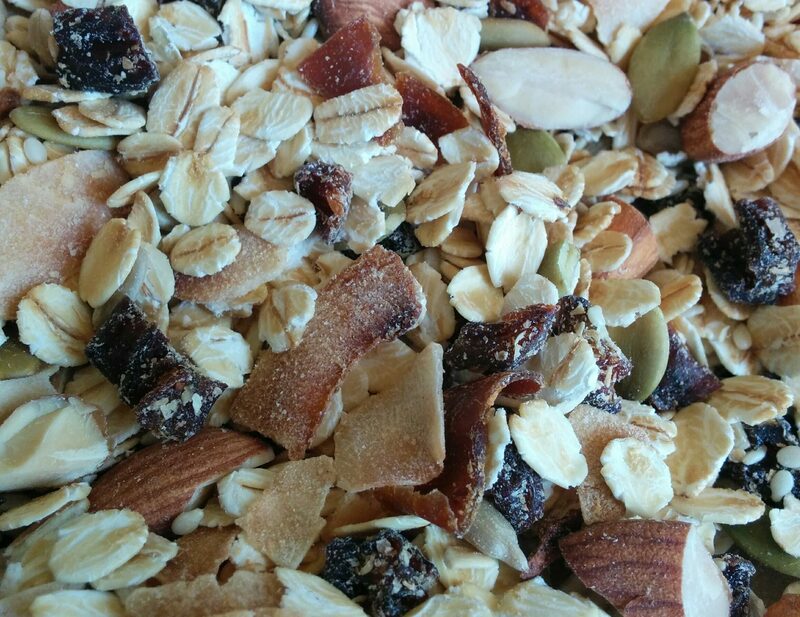 Now for the dried fruit – the real star of this recipe – and where you can make it truly your own, with seemingly endless combinations of sweet, luscious, fruity goodness! 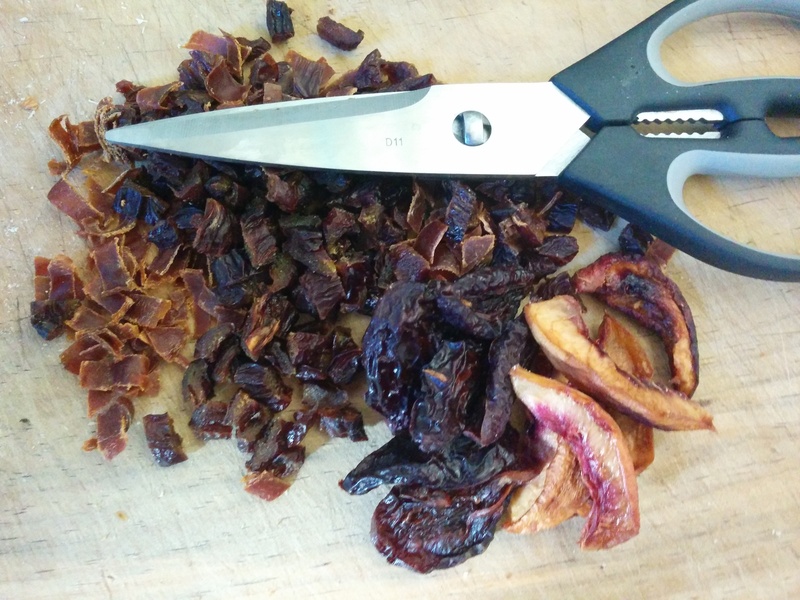 Chop the larger pieces of dried fruit to a size that you prefer (I like mine fairly small, about sultana size). For this batch, I had a lonely piece of apricot fruit leather that needed using, plus this year’s prunes and dried nectarines. Kitchen scissors worked really well and I find them much easier than a knife for this job. 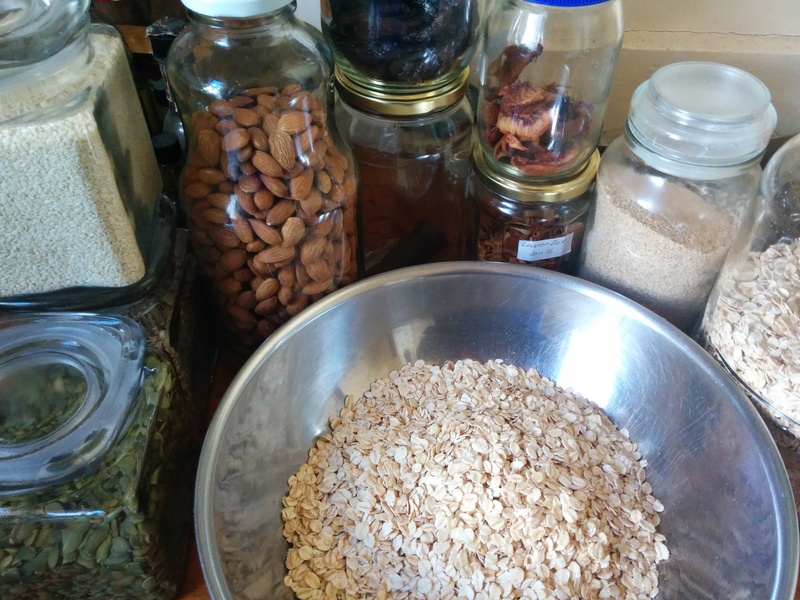 When the oat mix looks the right shade of toastiness, allow it to cool completely, mix in the chopped dried fruit very thoroughly and put into an airtight jar. It should keep well for ages but mine usually gets eaten in a couple of months. In other news, The Superstars and Callum are playing at MONA next Saturday (8th April), which is huge news and I’ll do a separate post about that soon. Uni study is relentless but rewarding, and I’m loving my current unit CWR211 Writing Crime & Contemporary Romance, though romance literature isn’t my strength or preference. Nevertheless, I managed a very high mark for my first assessment and I was frankly, surprised and thrilled.